Hello! Today I have another OPI swatch courtesy of UK stockist Queen of Nails. 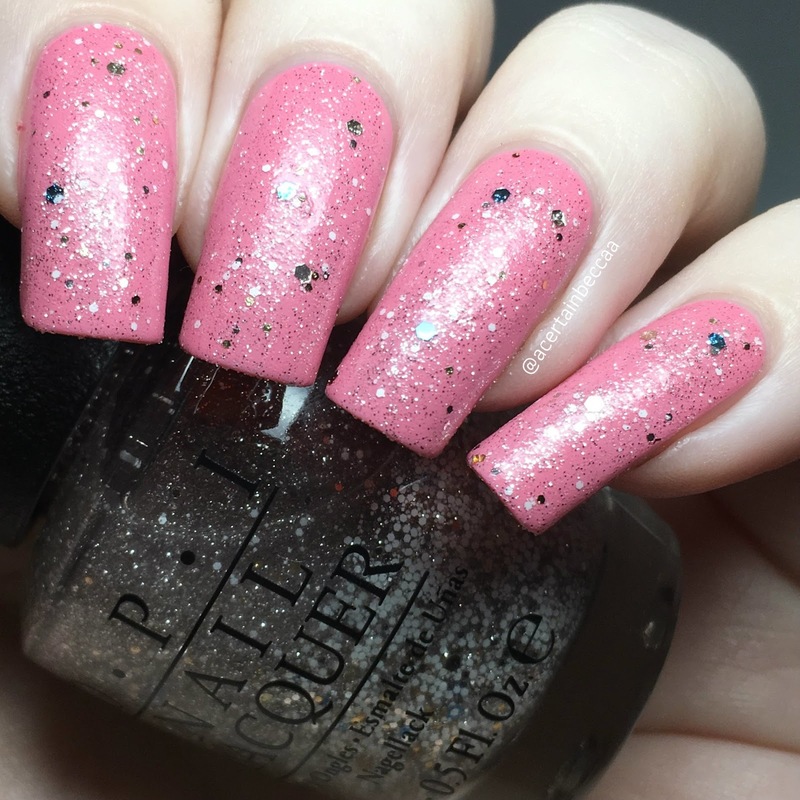 If you missed my latest Queen of Nails post (OPI 'Getting Nadi on my Honeymoon'), you can find that here. This time around I have 'Lima Tell You About This Color!' from the Fall/Winter 2018 Peru Collection. Read on for my full swatch, and to see it topped with 'Muppets World Tour'. 'Lima Tell You About This Color!' is a cool-toned pink creme. The formula is smooth and easy to apply. It is a bit on the streaky side so I did need a third coat to even it out completely. I did do fairly thin coats though, so it might be okay with two thicker ones. Below is three coats with topcoat. I'm currently on a mission to appreciate some of my glitters and toppers more, as I really don't use them enough! I decided to top this with an older OPI glitter, 'Muppets World Tour'. Below is one coat (with topcoat) over 'Lima Tell You About This Color!'. What do you think? The pink is totally my kind of colour! 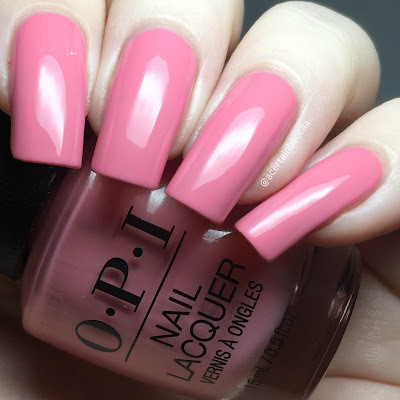 It reminded me of 'Kiss Me I'm Brazilian', one of my all time favourite pinks - comparing the two, 'Lima Tell You About This Color!' is a bit softer/lighter. I also think 'Muppets World Tour' pairs quite well with it. You can find 'Lima Tell You About This Color!' on the Queen of Nails website for £8.99 here. You can use my code BECCA10 for 10% off.